Jay Cutler is your pre-Olympia pick as the BEST FROM THE FRONT! Previous story T.O.C Pro Figure! 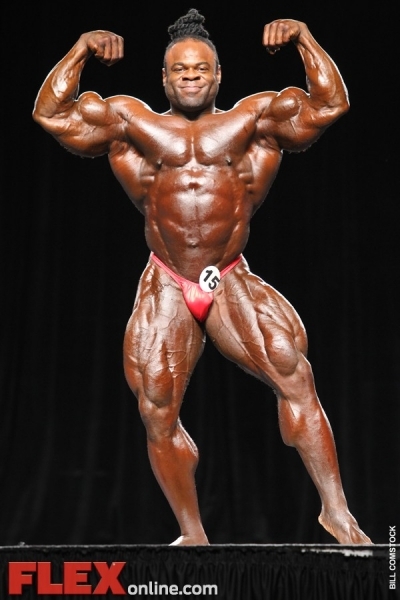 Next story KAI GREENE ON PBW! (Click here to see PHIL HEATH TRAIN ARMS 7 weeks out from the Olympia). Stay tuned this week to see Heath train chest only 10 days out from the Olympia – you might just change your opinion when you see this one! For the second week in a row, Kai Greene finished third in your vote (Click here to see KAI GREENE TRAIN ARMS 4 weeks out from the Olympia). Greene has been keeping quiet and staying covered up, but after dominating the NY Pro this year he’s on everyone’s radar. The FLEXonline cameras will be with Greene this week and hope to see what’s under that big red hoodie! This Friday you’ll have one final chance to vote as we feature the “Olympia Best LEGS” poll. Will Jay or Phil come out on top? Or will another contender get the win? Voting starts September 9!